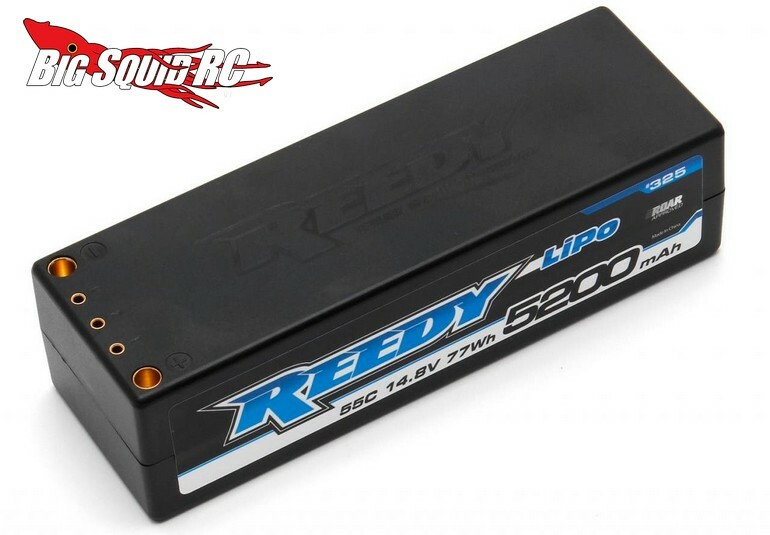 Reedy 5200mAh 55C 14.8V LiPo Battery « Big Squid RC – RC Car and Truck News, Reviews, Videos, and More! New from the crew over at Reedy is the 5200mAh 55C 4S LiPo Battery. What’s new on the 4S 5200? Well, it has a 10% increase in capacity over the old model, yet still weighs the same. This gives you a bit more runtime while still making it easy to achieve a proper chassis weight distribution. It comes standard with low resistance 5mm connectors and a hard case for extra protection when the bashing gets extreme. The battery is priced at $138, they are shipping right now, and they have a part number of #325. Right Here is the link to more details on Associated’s website. Hit This Link for more Reedy news on BigSquidRC.